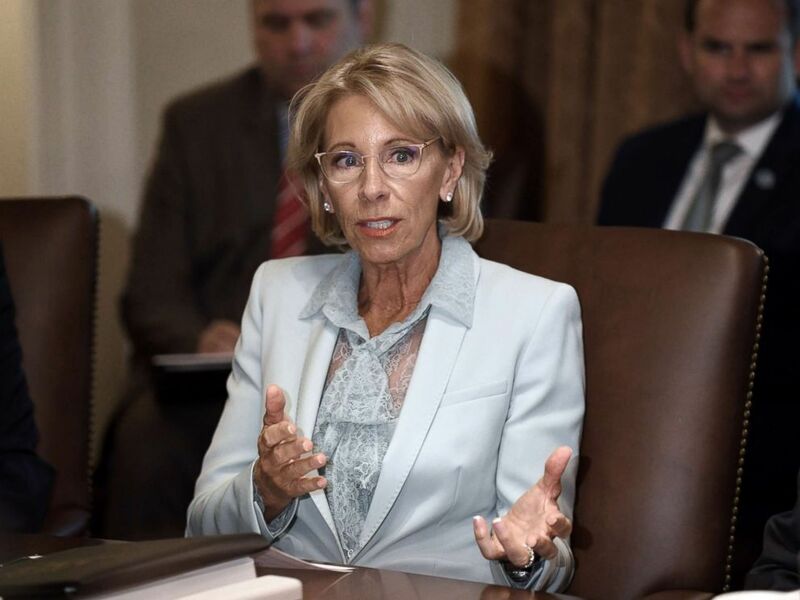 A $40 million yacht belonging to Secretary of Education Betsy DeVos was untied from its mooring at a Lake Huron marina, police said. The SeaQuest, a 164-foot luxury yacht, registered under a Cayman Islands flag, was set adrift at the Huron Boat Basin, where it was docked. "Around sunrise the crew woke to find the boat had been untied from the dock and was adrift," according to a vandalism report filed Sunday by the Huron Police Department. Secretary of Education Betsy DeVos speaks during a cabinet meeting with President Donald Trump in the Cabinet Room of the White House, July 18, 2018 in Washington. The crew was able to regain control, but not before the ship struck the dock, suffering several scratches and scrapes, the report said. The captain estimated that the collision caused between $5,000-$10,000 in damages. Investigators hope that nearby surveillance cameras may help them identify the person who untied the yacht. The SeaQuest is one of a fleet of at least 10 boats owned by the DeVos family. The SeaQuest is staffed by a crew of twelve and, additionally, accommodates as many as twelve guests at a time. 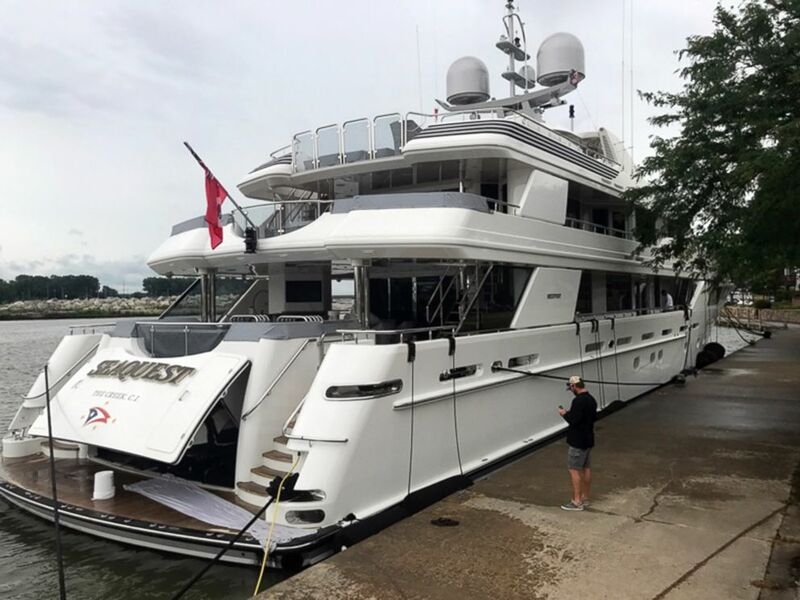 The SeaQuest yacht owned by Education Secretary Betsy DeVos' family sits docked in Huron, Ohio, July 20, 2018. DeVos has previously been criticized for her family’s wealth and holdings. She and her husband have a combined net worth of over $5 billion. Devos’ brother, Erik Prince, is the founder of Blackwater, a private military company that has faced scrutiny for its activities as a mercenary subcontractor for U.S. combat operations in the Iraq and Afghanistan wars. DeVos’ press office did not respond to ABC News' request for comment.